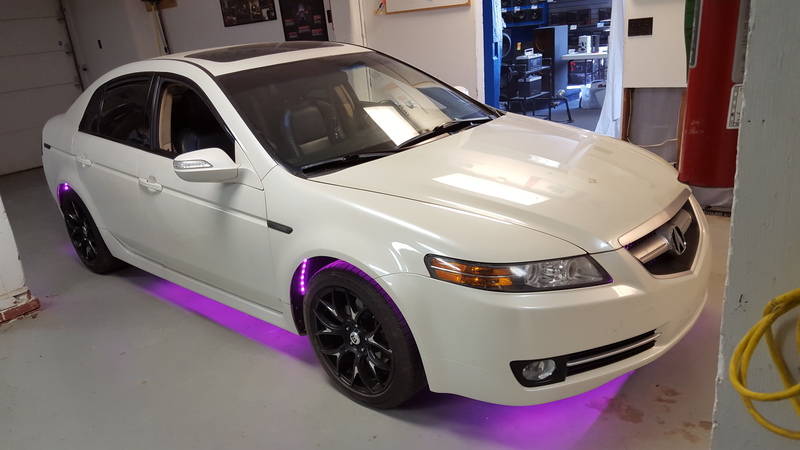 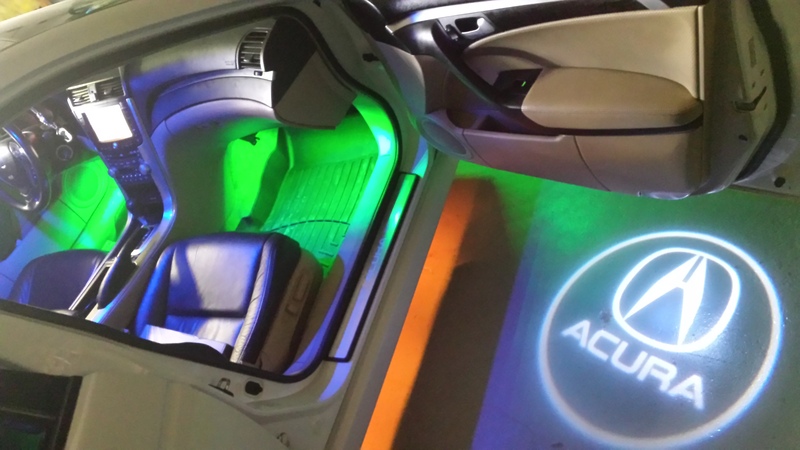 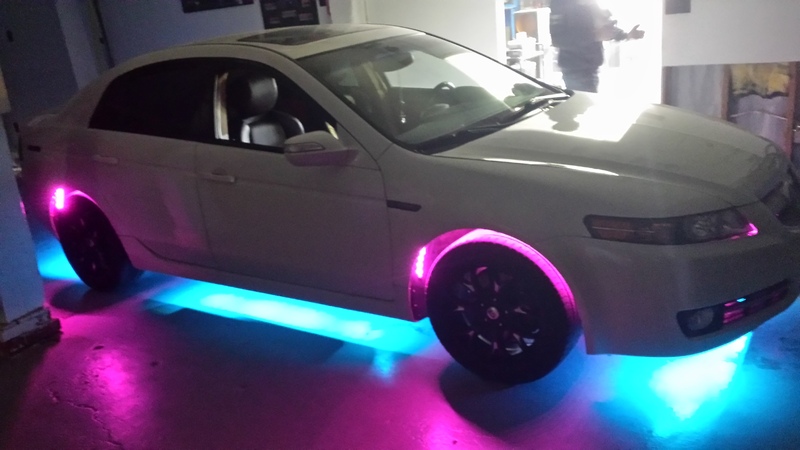 The owner ofthis Acura TL has been a long time customer of ours, and has had plenty of work done including lighting and audio. 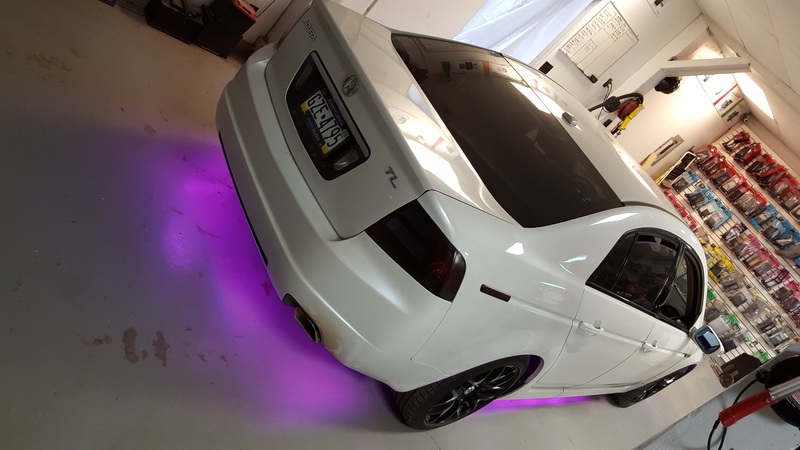 We have tinted the taillights and side markers, installed aftermarket blue dome lights, put shadow acura lights in the front doors, installed halos in the factory headlights, and installed a full multi-zone, multi-color, smartphone controlled led system throughout the interior and exterior of the vehicle. 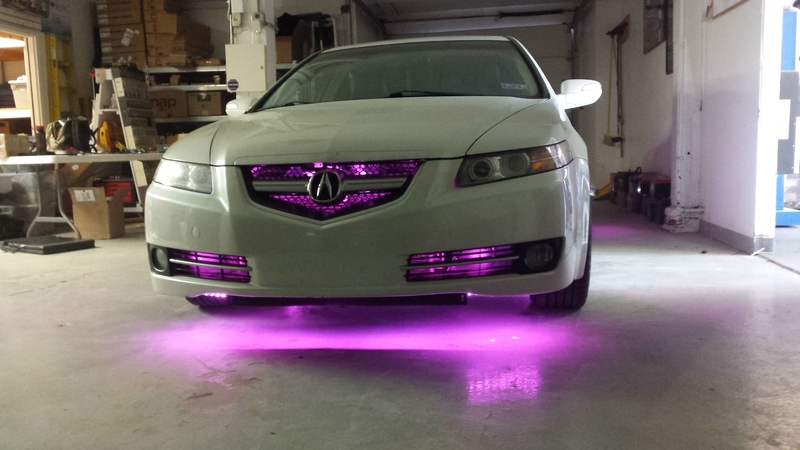 Here are a few pictures of the finished product!